Improve efficiency, service and create new business opportunites with Ingenico Group's Unattended Solutions. Ingenico Group’s unattended payment solutions help partners and their customers prepare for the future by enabling acceptance of all payment methods, without the need for a cashier or attendant. 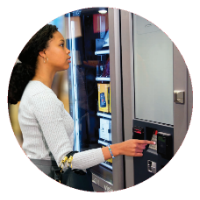 Our Partner Program is designed for kiosk providers, system integrators, value-added solution providers and gateway providers who want to work together to deliver secure, EMV and NFC-enabled unattended self-service solutions. Want to learn more about our Unattended Partner Program? Complete the form on this page and an unattended payments solutions expert will be in touch with you shortly.